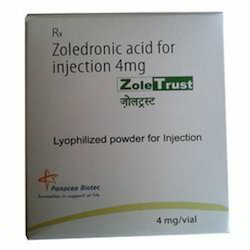 Pioneers in the industry, we offer sutent pfizer, tasigna capsule, bandrone ibandronic acid injection, sorafenat cipla, leucopar injection and paclipar injection from India. 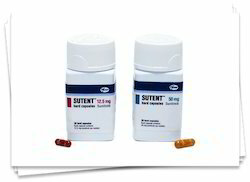 We are a distinguished name in the field of offering Sutent Pfizer, which is formulated under the strict supervision of our qualified professionals. These offered medicines are strictly tested on various levels of the production process to ensure that they are pure and free from defects. Widely demanded in the industry because of their effective and reliable functioning, we are providing these on time to our customers. 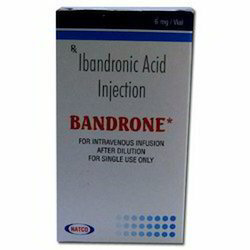 Reckoned as leaders in this industry, we are providing our esteemed clients with excellent quality Bandrone Ibandronic Acid Injection. This injection will help you by preventing the breakdown of bone by bone cells. Offered injection is precisely processed by quality ingredients keeping in mind the set medical standards. 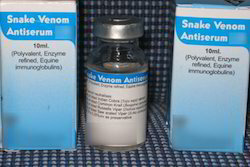 Our honored clients can avail this injection from us at reasonable price within a promised time frame. We are counted among the leading wholesaler, distributor, trader, and supplier of high quality Sorafenat Cipla which is used for the treatment of primary kidney cancer, offered medicines are tested on several quality parameters in order to supply quality range at the customer’s end. 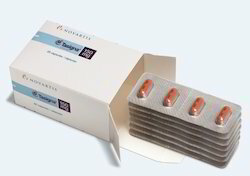 These medicines are provided in best packaging options. We are offering these medicines to customers in bulk counts as per their needs. 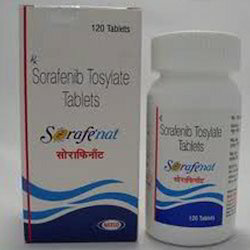 Sorafenat is a prescription drug and should be used under proper medical guidance and advice. 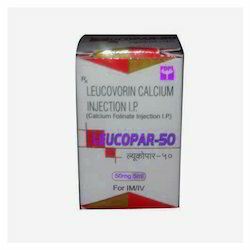 Leucopar 50mg injection enters the cells as 5-methyl tetrahydrofolate and supplies the cofactor blocked by methotrexate. 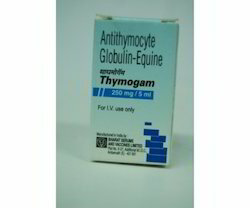 It stabilises the binding of 5-dUMP and thrymidylate synthetase, enhances flourouracil activity and neutralises the effects of folic acid antagonists such as methotrexate but increases those of 5-fluorouracil. 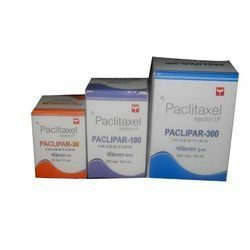 Paclipar 100mg injection blocks replication of genetic material (DNA) in the cancer cells. Thus it stops the growth and multiplication of cancer cells. 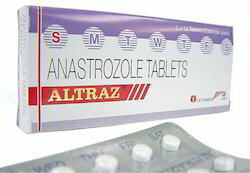 Altraz 1 mg tablet belongs to aromatase inhibitor group of medication. It blocks the synthesis of hormone estrogen and substances similar to it (estrone, estradiol) that are responsible for the progression of breast cancer in post-menopausal women. 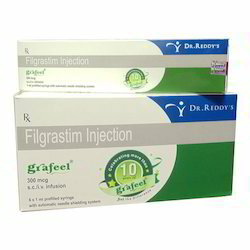 Grafeel 300 mcg injection belongs to class of medication called as colony-stimulating factors. They act by stimulating the bone marrow (organ in the body where blood cells are produced) to increase the production of specific types of blood cells called neutrophils that help fight infections. 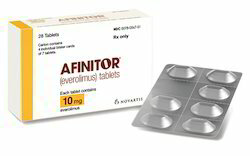 Afinitor 10 mg tablet belongs to class of medications called mammalian target of rapamycin (mTOR) inhibitors. 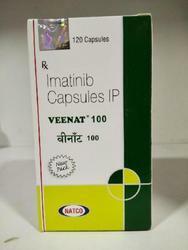 Afinitor 10 mg tablet reduces blood supply to tumor thereby blocking tumor or cancer growth. It also inhibits immune cells (T cells) which can cause rejection of transplanted organs. 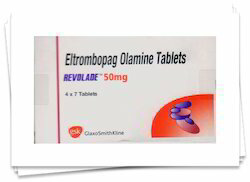 Revolade 50 mg tablet belongs to class of drugs called antihemorrhagics. It works by activating the production and proliferation of platelets from bone marrow. 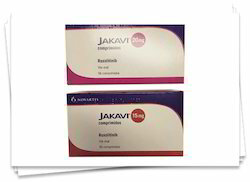 Jakavi 20mg tablet is a kinase inhibitor. It works by blocking certain substances (JAK1 and JAK2) that are involved in myelofibrosis.